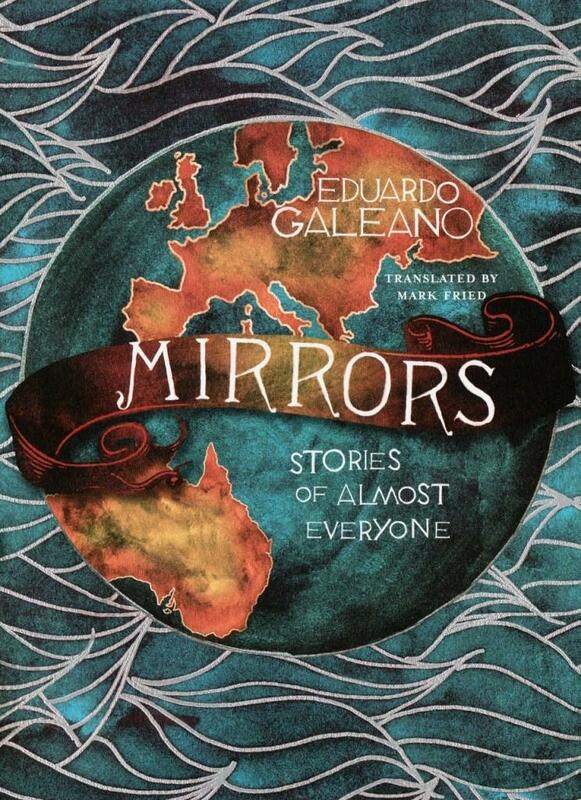 Whereas in Borges’s The Book of Sand, the characters are terrified by the infinite book, in the case of Eduardo Galeano’s Mirrors: Stories of Almost Everyone, I wished never to finish this book for, in a sense, like the sand, it has neither beginning nor end. Galeano’s six hundred stories are a portrayal of the world in its totality, a maddeningly finite book with an infinite meaning. Such a book is, of course, an unsettling prospect for a reader. Each of the stories stand alone but the book’s rhythmic intensity is established by the juxtaposition of the stories, which use anticipation and omission to carry a reader along. There is a hypnotic quality to the succession of stories, so beautifully told that I wished for their infinite replenishment, but it is also a book of deep and infinite sadness, an indictment of the shameful history of the state, most particularly the relentless of European and American tyrannization. I loved this book. Should be required reading for all. The cover looks great and it sounds interesting! On my to-read list this summer.